Freedom Church originally started out as Freedom Fellowship which formed in June 1994 as a result of God moving powerfully among a small group of Christians in North Devon. Mike and Deb Parsons moved to Barnstaple from Cornwall to lay the apostolic and prophetic foundations of the church. The Kingdom of God dynamically impacted our lives in such power that we desired to share the freedom in Christ we had begun to experience with others. 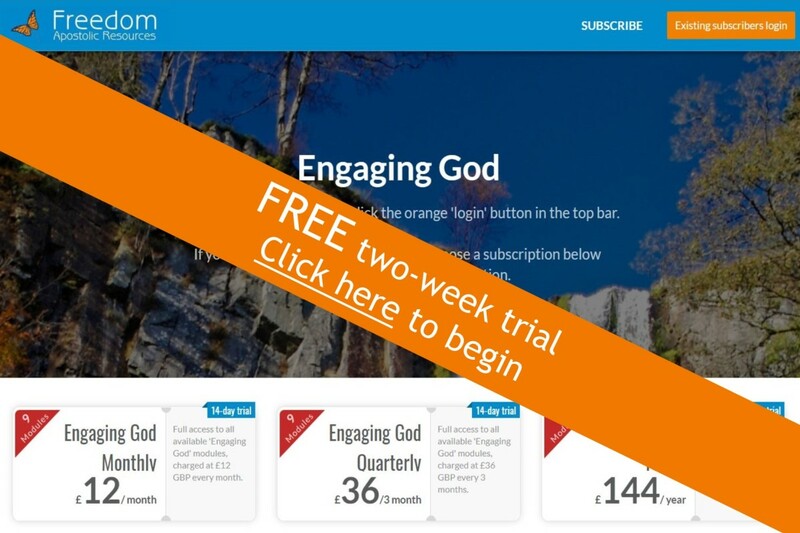 The Freedom Trust (a church charitable trust) was the legal charitable framework set up to enable us to accomplish that goal, to proclaim the good news of the freedom that was possible in Christ, to envision, impassion, equip and release people to ‘serve the purpose of God in their generation’. Isaiah 61:1-3 remains our foundational scripture and still shapes what we do and how we do it. As a result of practically sharing that vision in a series of ‘More for 94’ meetings and later in New Beginnings teaching sessions, a group of people became committed and united to each other and to that common goal. Originally meeting in a variety of schools we now have a community base the Freedom Centre. We changed our name to Freedom Church in 2000 to reflect the developing emphasis of our vision to reach out and be a blessing to all members of our community. We were founded as a result of clear prophetic direction and over the years we have continued to be open to God to direct us. We have continued to be open to change and value prophetic direction believing we are all capable of hearing God’s voice. In 1996 when we were meeting in Forches School God spoke powerfully on a particular Sunday morning. He directed us to join hands in a circle, turn to face outwards and prophesy to the community that we were here for them. That word has set the agenda for our desire to demonstrate God’s love by serving our community. Freedom Social Projects (FSP) is the ministry developed to outwork another prophetic word given to us In 2001 when in our first permanent building; the Freedom Centre, Graham Jones declared that we would be a “Heineken Church reaching the people others wouldn’t or couldn’t reach”. FSP now has it’s own charity but is still a church ministry. In December 2005 we took a large step of faith in leasing our current building the Freedom Centre mark 2 and this has now been completely refurbished to provide a multipurpose facilitiy as a base for both our community work and to provide a regional Apostolic Resource Centre. Many years were spent sowing our time, money and energy into serving the local community. In 2007 God started to challenge us to go back to our roots and foundations to do the works that Jesus did and the greater works (John 14:12). God has given us a heart for revival, to see heaven manifesting on earth. Debra Green founder of Redeeming Our Comminities prophesied over Mike Parsons in April 2008; that God had seen his heart and was going to release a healing anointing with an emphasis on setting free those in captivity to addictions. On the following Sunday the Holy Spirit fell on the congregation in a dramatic way. Immediately we started Friday night “Catch the Fire” meetings desiring to give away what we had received. We saw an increase in the tangible presence of God with a greater anointing of His Spirit with signs and wonders. Following another prophetic word from Mike Bryant, a prophetic evangelist, the church undertook a 40 day fast in August 2010. Mike Parsons withdrew for the whole 40 days seeking God for heavenly encounters. God gave many prophetic visions of heaven. 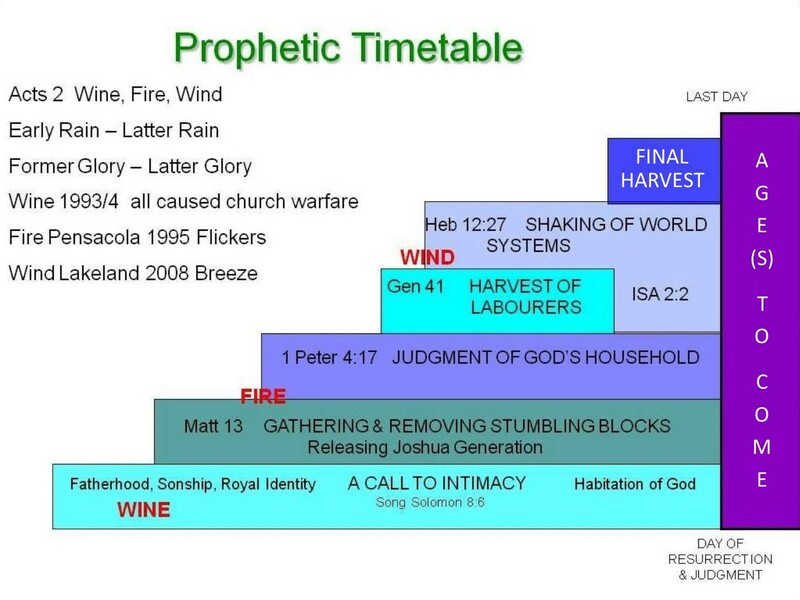 The church has subsequently undergone great transformation as we have sought to follow the prophetic timetable that was given by revelation in the heavenly realms. We are preparing for revival by equipping people in the supernatural dimensions of God’s kingdom, equipping them to access the heavenly realms in order to administer the governmental rule of God on earth as it is in heaven. In April 2011 Mike Bryant was invited to hold 3 days of Kingdom Explosion revival meetings. This started a move of God that ran for 86 nights with many signs, wonders and miracles. People visited from all over the South West region with 676 recorded testimonies of God’s power and presence.